It sounds like the plot to a movie. Incredibly expensive jewelry was being set up for display in a famous hotel on the French Riviera. Suddenly, a masked man appeared with a gun, escaping with an estimated $136 million in diamonds and other jewels. 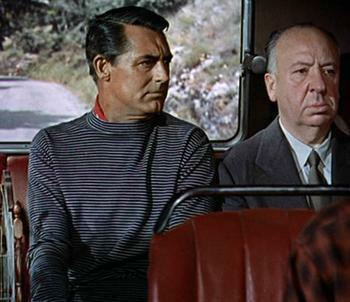 It happened at the Carlton Intercontinental Hotel in Cannes, the setting for Alfred Hitchcock's classic “To Catch a Thief,” and was the biggest jewelry heist in Europe in decades. Another hotel in the French city was hit with a much smaller jewelry robbery during the most recent Cannes Film Festival. While it makes for fascinating intrigue it also points up the danger of traveling with expensive jewelry and the steps you should take to protect you jewels when you are away from home. Remember that criminals – including jewel thieves – tend to hang out in tourist spots. Especially tourist spots that attract wealthy tourists. So the first consideration is whether you should even travel with expensive jewelry in the first place. But assuming you have decided to do so, how can you keep your things safe? When booking a hotel, be sure that it can provide highly secure safe deposit boxes. The last thing you want to do is leave expensive jewelry unattended in a hotel room or a rental car. If you are out in public, don't wear the jewelry if you're going to a place where you might be inclined to take it off – such as the pool. Many hotels have in-room safes. You may think twice, however, about entrusting very expensive jewelry to them. According to Travel+Leisure, there have been numerous cases of these safes being cracked. In most states and countries, the hotel's liability is limited. Theft is not the only threat to your jewelry when traveling. Fine pieces can be subject to damage. A diamond can scratch a pearl, and a bracelet can get caught on a necklace. A proper jewelry traveling case will provide protection from scratches and other damage. There are many different kinds of cases, made from everything from hard leather to silk. Some are pouches with compartments, designed to keep the pieces separate and in their place. A “jewelry roll” is made of soft cloth and has various compartments. Once the jewelry is placed in the compartments, the cloth is rolled up and tied with a ribbon. If you own expensive jewelry, especially if you travel with it, it might be a good idea to have it insured separately from your homeowner's policy. The International Gemological Institute (IGI) works with GemShield, a provider of specialized personal jewelry insurance, to offer discounted insurance policies. When buying IGI-graded gemstones or jewelry products, consumers can now obtain a personal jewelry insurance policy protecting them against "all risks" of loss including theft and damage to the jewelry with a premium discount of 7.5% to 12.5%, depending on which IGI services are included with the IGI report. 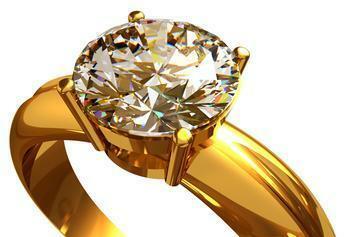 IGI says the policy will provide lower annual insurance premiums when compared to insuring other lab graded diamonds. Not all insurance policies cover jewelry when you travel outside the U.S., so if international travel is part of your itinerary, make sure you're covered. In fact, international travel may carry higher risks than visiting domestic destinations. The risk of theft, loss or damage goes up as soon as you depart because you find yourself in new surroundings, doing new things, often in tourist spots that attract thieves. Think long and hard about taking “real” jewelry when faux pieces would be much easier to replace. Travel experts suggest dressing in a way that doesn't call attention to yourself. Sporting a lot of fine bling might brand you as a tempting target. Another thing to remember is that many jewel thieves are really good at what they do. Think of them as the true professionals of the criminal class. They don't rob liquor stores but only go for fine jewelry, which has a huge payoff. If they spy you wearing an expensive necklace or bracelet, they may spend hours keeping you under surveillance, just waiting for you to make a mistake. Letting your guard down for just a few seconds can prove costly.